Reiki is the alternative healing system in which we use our pair of hands and pure intention to heal our life as a whole. Reiki is a gentle energy but still it is so powerful that it can heal anything. Any body who wants to learn to heal can learn the art of healing through Reiki, Pronounced as 'Ray' and 'Kee', is an alternate healing system which works not only on physical level, but also on mental, emotional and spiritual levels. 'Rei' means universal and 'Ki' means life force energy. Same energy is called as Prana in India, Chi in China and Ki in Japan. 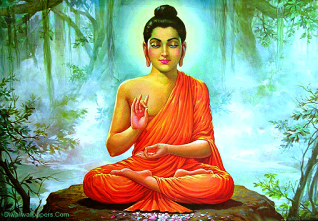 The healing technique was originated in India by Lord Buddha in the form of various sutras. He was seen performing various types of healings on various occasions. But after that it was forgotten for thousands of years until Dr. Makao Usui from Japan re-discovered it at the end of 19th Century. Out of all the healing systems of the world, Reiki is one of those healing systems in which there is no medications, no exercises, no side effects and above all the client is not supposed to be present with the healers also. This is an energy healing system in which an energy of highest frequency is sent through the healer to the client (the receipant) and the healing starts to take place. This energy healing system is also very easy to learn and practice because the power to transfer the Reiki energy is not attained through rigorous meditation and practice but it is transferred from Teacher (Reiki Master) to the student in a ceremony called 'Attunement' (Diksha in hindi) and can be learned in a class usually lasting one day. The International Center for Reiki Training has estimated that there are 5,000,000 people throughout the world who have taken at least one level of Reiki training. 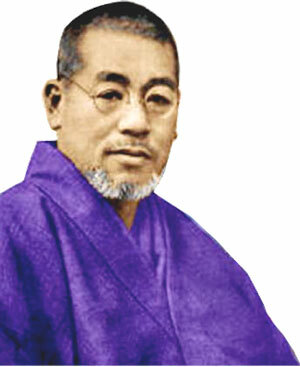 There are five traditional levels of expertise - Reiki Level I, II, III, Master and Grand Master. REIKI has been used to treat everything, from minor ailments to chronic diseases. It draws out and eliminates stress, promotes relaxation and speeds up the healing process. REIKI has been successfully used, alone and in conjunction with, other healing methods such as allopathic, homeopathic, ayurveda, acupuncture, acupressure, massage therapy, etc. It has been successfully used by therapists and lay persons alike. Those persons already active in the healing field receive an amplification of their healing abilities. Reiki is a loving energy, an energy with a sense of love, warmth and security. It makes no difference who is doing the treating. The most important and unique thing about Reiki is that it not only heals anyone on physical level but also on mental, emotional and spiritual level as well because Reiki moves towards balancing the being as a whole: both individually and collectively. Through using Reiki, one learns to convert the life from "Auto Pilot Mode" to" Manual Mode". Healing Testimonial Section of this site at the right side of the Home Page. 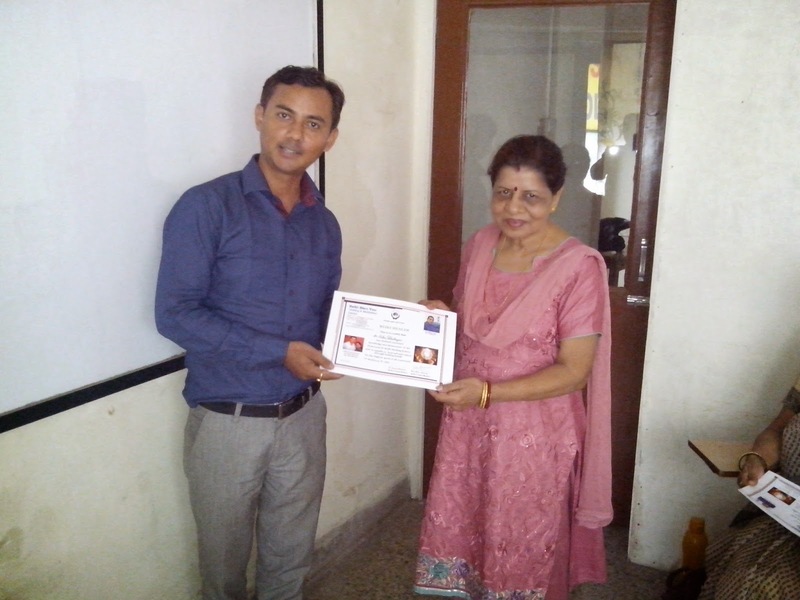 Reiki & Mind Power workshop at Jabalpur on 02 & 03 August 2014. From left standing is Mr KK Dixit, 62 Years old retired officer from Govt service, Mr Rahul Pillai, 28 years old Enterprenour, Director of Reiki Bless You Healing & Training Institute, Mrs Nirmal Kaur, 56 years old house wife, Mrs Vandana Namdeo, 40 years old house wife. 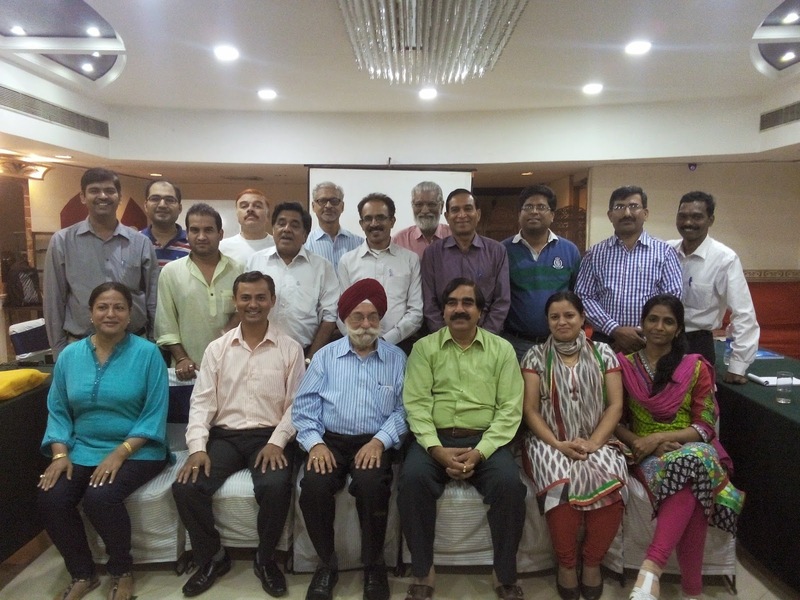 Enjoyed a lot in these two days of workshop and the participants learnt a lot and gave positive remarks about the workshop. An unique experience. Reiki Healing Workshop at Dwarka, New Delhi on 06 July 2014. 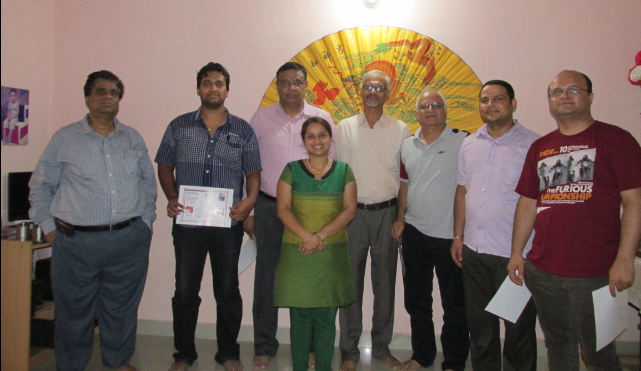 The participants were Dr Surendra Nischal (PhD Psychology), Dr George (PhD Psychology), Dr Raman, Aaashish Nischal (Computer Engineer) and Narendra Sharma (Civil Engineer). A very successful and fruitful Workshop. Every one had their own blissful experiences. The workshop was focussed on Energy Heailng Sytem in which it was taught how to sense energy, regulate it with the help of own hands and then convert it into positive energy for the benefit of all humanity. Reiki, pronounced as 'Ray' and 'Kee', is an alternate healing system which works not only on physical level, but also on mental, emotional and spiritual levels. 'Rei' means universal and 'Ki' means life force energy. Same energy is called as Prana in India, Chi in China and Ki in Japan. The healing technique was originated in India by Lord Buddha in the form of various sutras. He was seen performing various types of healings on various occasions. But after that it was forgotten for thousands of years until Dr. Makao Usui from Japan re-discovered it at the end of 19th Century. Out of all the healing systems of the world, Reiki is one of those healing systems in which there is no medications, no exercises, no side effects and above all the client is not supposed to be present with the healers also. This is an energy healing system in which an energy of highest frequency is sent through the healer to the client (the receipant) and the healing starts to take place. This energy healing system is also very easy to learn and practice because the power to transfer the Reiki energy is not attained through rigorous meditation and practice but it is transferred from Teacher (Reiki Master) to the student in a ceremony called 'Attunement' (Diksha in hindi) and can be learned in a class usually lasting one day. The International Center for Reiki Training has estimated that there are 4,000,000 people throughout the world who have taken at least one level of Reiki training. There are five traditional levels of expertise. Reiki Level I, II, III, Master and Grand Master. REIKI has been used to treat everything, from minor ailments and accidents to chronic diseases. It draws out and eliminates stress, promotes relaxation and speeds up the healing process. REIKI has been successfully used, alone and in conjunction with, other healing methods such as allopathic, homeopathic, ayurveda, acupuncture, acupressure, massage therapy, etc. It has been successfully used by therapists and lay persons alike. Those persons already active in the healing field receive an amplification of their healing abilities. 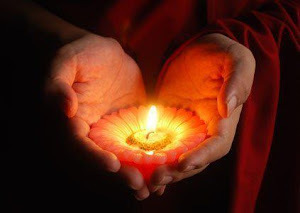 Reiki is a loving energy, an energy with a sense of love, warmth and security. It makes no difference who is doing the treating. Love is the end result. REIKI moves towards balancing the being as a whole: both individually and collectively. Through using Reiki, life will become brighter and brighter. To know about real life healings through Reiki, please visit the Healing Testomonials section of this blog. Reiki Bless You International Institute Crowned Mrs Uma Dutta Gupta from Siliguri, West Bengal, India as Reiki Master of Reiki Bless you. For learning Reiki click "Learn Reiki".